Ski slopes ready in nearby Obertauren. Due to open on Thursday . Wow-That looks truly stunning. Could you send some of that snow our way please lol!! Well we are up and running in some of the nearby resorts. The picture is from nearby Turracher Pass, a high resort based at 1800m. Also some of the lifts in operation in Obertauren where there has been more snowfall than most resorts. Cold and grey today, temp at -6c at 1600m. 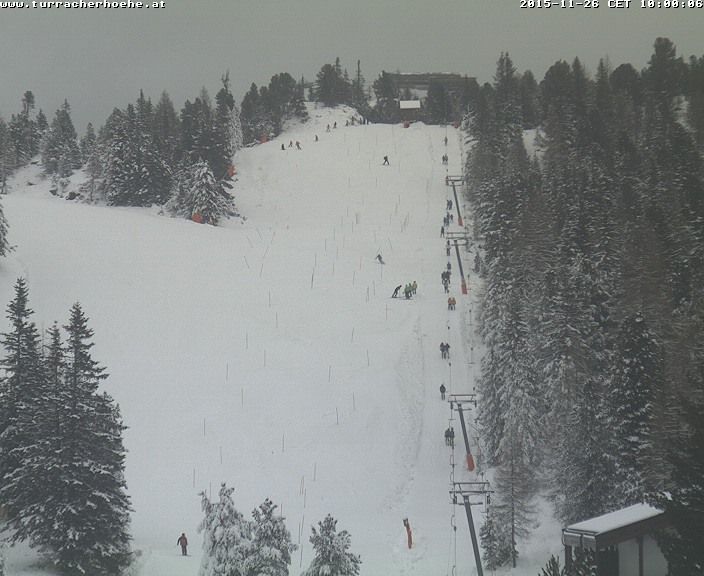 As forecast last week a cut of circulation has developed giving falls of mostly light snow but added to the snow making operation currently on full blast all looking a lot better than this time last week. 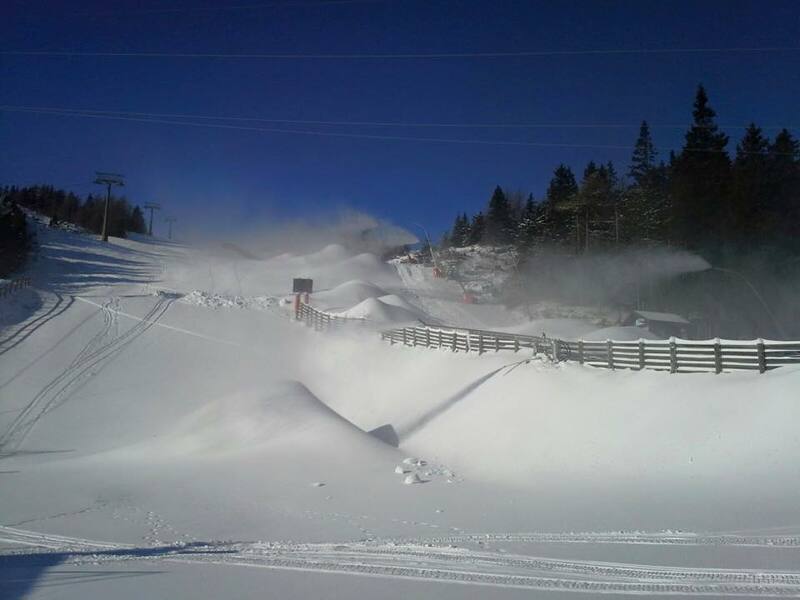 Snow guns have been put to full maximum use during the past 3 days. This picture just shows how much it can lay down the pistes. Lifts open tomorrow, on time. Amazing what can be achieved in one week of cold weather. That is one fantastic picture carinthian! Could I encourage you to post it in the Alps thread too? As you say, just one cold snowy week and with snow cannons on the blast it's 'away to go'! Here's hoping Katschberg has a great season! Morning Malcolm, thanks. Yep we are up and running this morning. Not sure how to double post at the same time. I must be a bit thick ! Reminds me of two real party bars on the last run down. Lovely PC health and safety friendly. The Moosefelt has a big reputation far and wide. 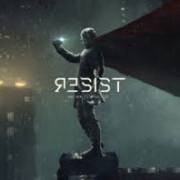 Visit at your peril, which you have succumbed and learnt ! I have to go up hill to my abode from these drinking holes, not as tricky as a slide down in the dark, although a skid doo works well. I can not express my amazement the first time I went there. All Austrians as the English went to the KK, but the Moosefelt was manic, mad, unbelievable, just intense and so very friendly and you never wanted to leave. 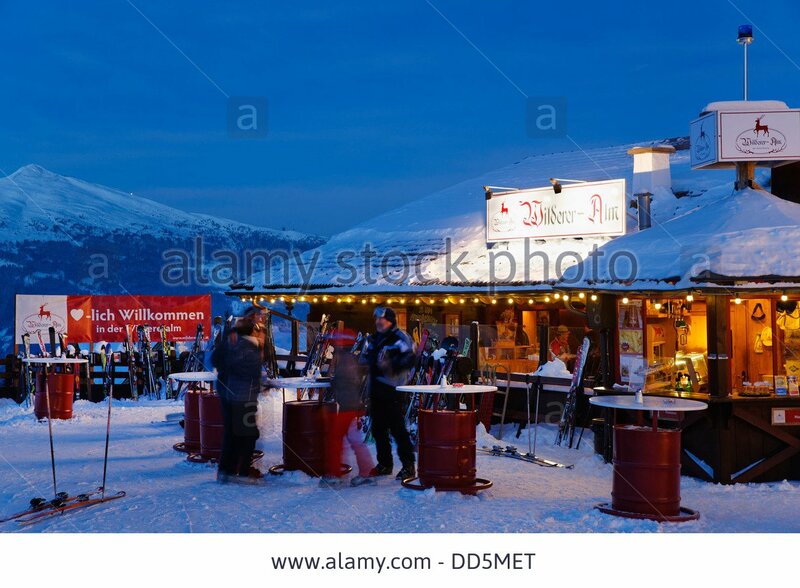 The Wilderer Alm looks great for a few apres ski beers Paul. 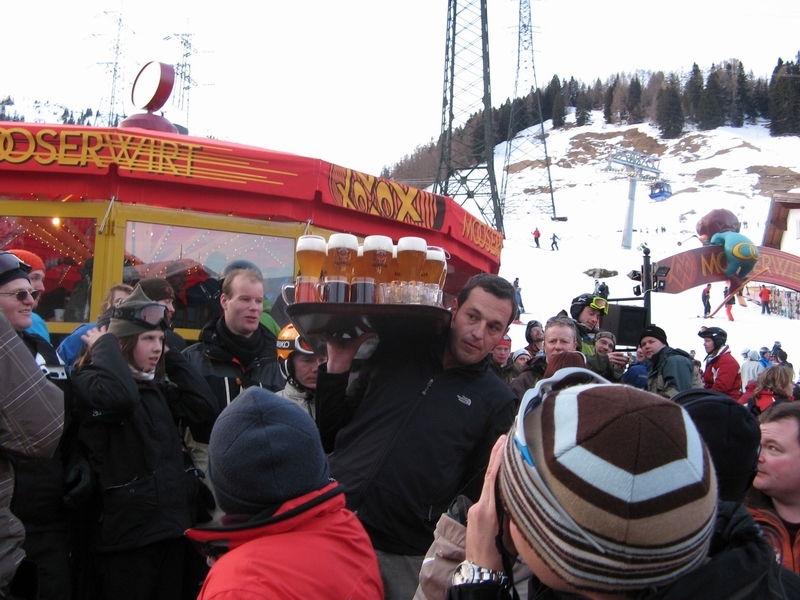 It's bars like that at the bottom of slopes that makes Austria such a great place for skiing and partying! Some French resorts try, but they don't do it so well as Austria! 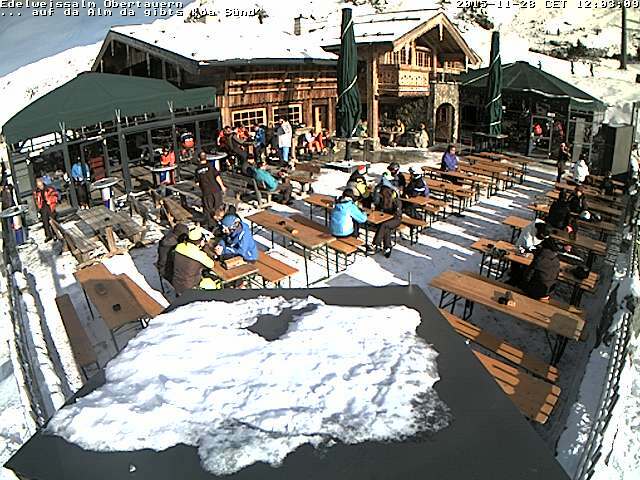 Seaside - I skied St Anton in 2009 and had a couple of brilliant apres ski sessions in the Mooserwirt. That final few hundred metres back down to the village were great fun. My daughter (a good skier) spent most of it sliding on her backside! Here's a photo of my order arriving! Quess what ? Another sunny day dawns. This is crazy day after day ! I often go and have a quick look at the web cams at your resort C, and it looks like the US resorts often do. totally green all around apart from a few white rivers running down the hills. Tell you what how do those waiters carry all those drinks and never fall over in all the wet floors in the bars, snow and ice. Your right in saying the Austrians do apes ski best esp where the bars are situated. 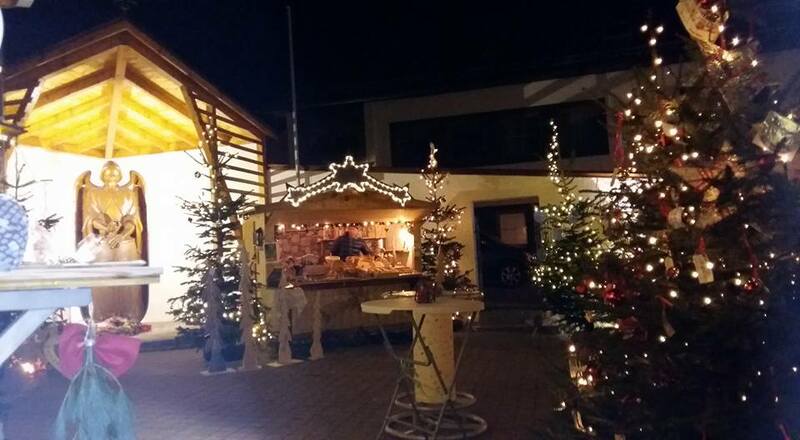 Advent market in the local village. Sorry no snow this time. Hi Huntso, still time yet, but as you say looks awful so far. The days of sunshine have been relentless and could be a record sunny December in these parts. Not particularly warm at the moment but we expect warming up at elevation as this week progresses . That's really bad news. The ski -season as you will be aware only lasts about 16 weeks at best, so a lot of businesses need the snow to survive. Unfortunately the drought is now tiresome and become a real pain. 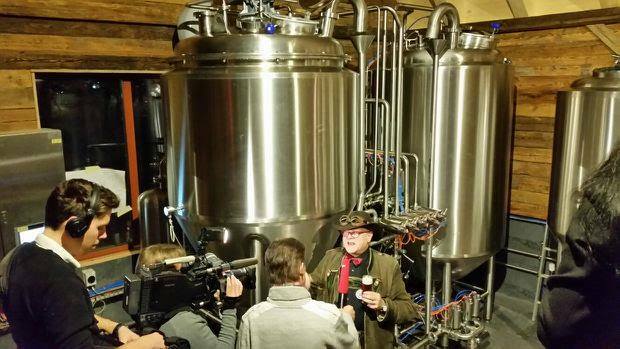 Anyway , hope you enjoy your time in Innsbruck at least the beer and food will be spot on ! Another day draws to a close in the drought ridden Eastern Alps. 2) It's a holiday and as such better than sitting around the house. 3) They'll be some snow higher up, even if it isn't 'awesome' or 'chocolate box picturesque' snow-laden scenery. 4) It's still got to be better than the average day skiing in Scotland. 5) It'll bring my 8-yr old son on a level from his first real skiing last year. 6) If it really is that bad at least St.Anton isn't a purpose built concrete 70s ski resort, and it has a train station. Having said that...snow damn it! Goodman Ravelin, that's the spirit. 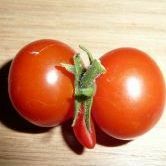 Don't forget to bring your sun tan lotion! A dish of Goulash Suppa outside a mountain hutte with a crispy Gosser Bier cannot be beaten. 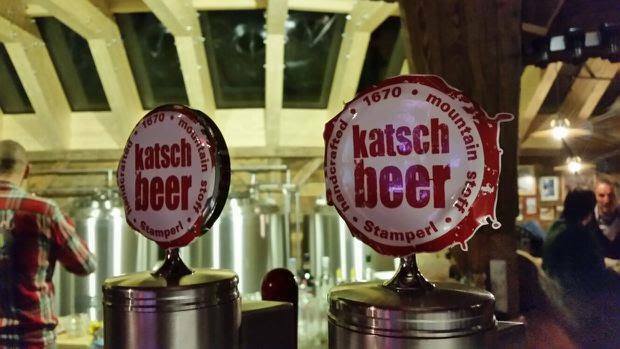 Its official we have our own Craft Beer and Brewery, the highest in Austria at 1670m. More pictures later. 7) A bit of sun wouldn't be that bad either. 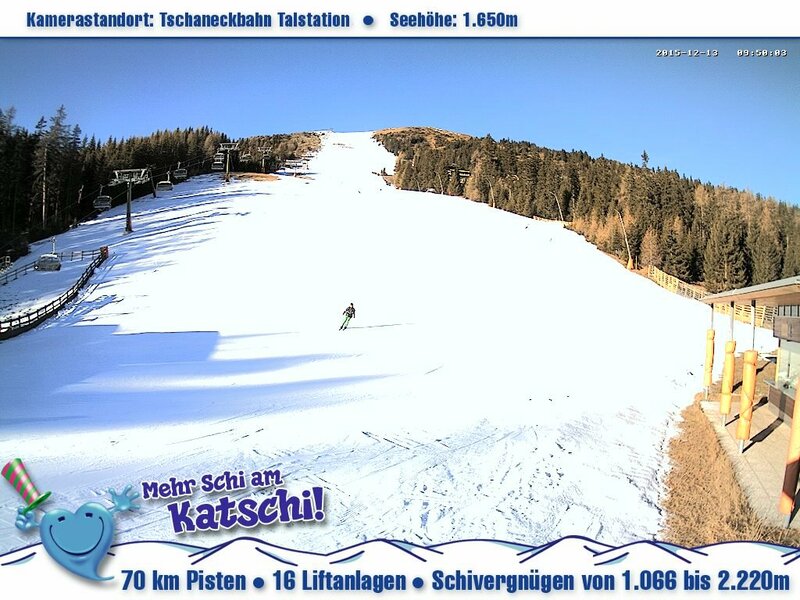 Looks like the driest and sunniest December on record for much of Austria. Records going back to 1865. The drought is particularly bad in Carinthia in Southern Austria with one place recording only 2mm of rainfall during the whole of Nov and December. Some districts have put a ban on New Years Eve firework displays to protect the tinder dry forests from fires. The landscape across much of Austria is barren rather than the delightful landscapes associated with snow scenes at this time of year. Warm and shocking to say the least and worst is being here to witness this lifetime event. Crazy.